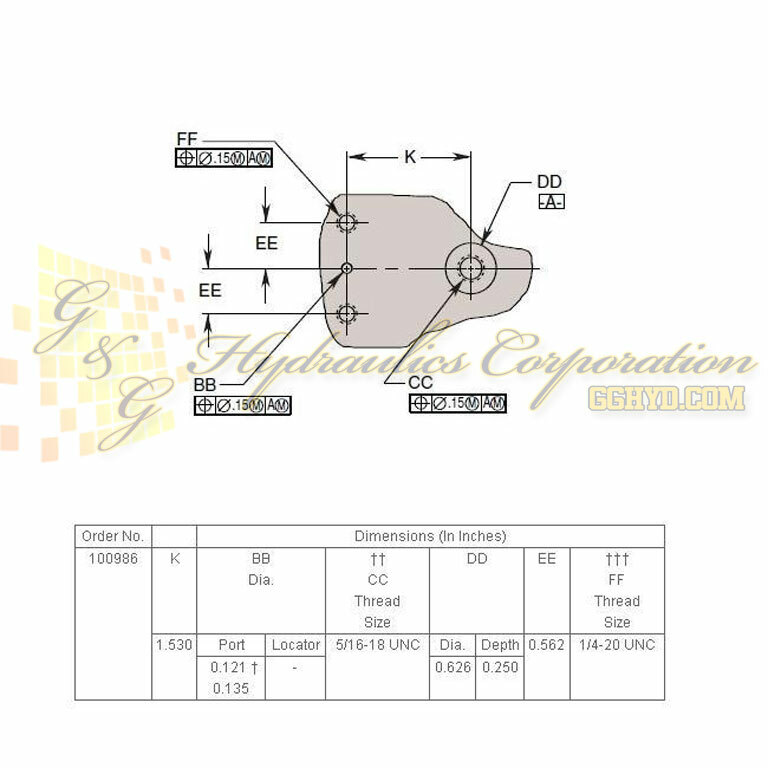 Part #100986 Hytec Edge Clamps. 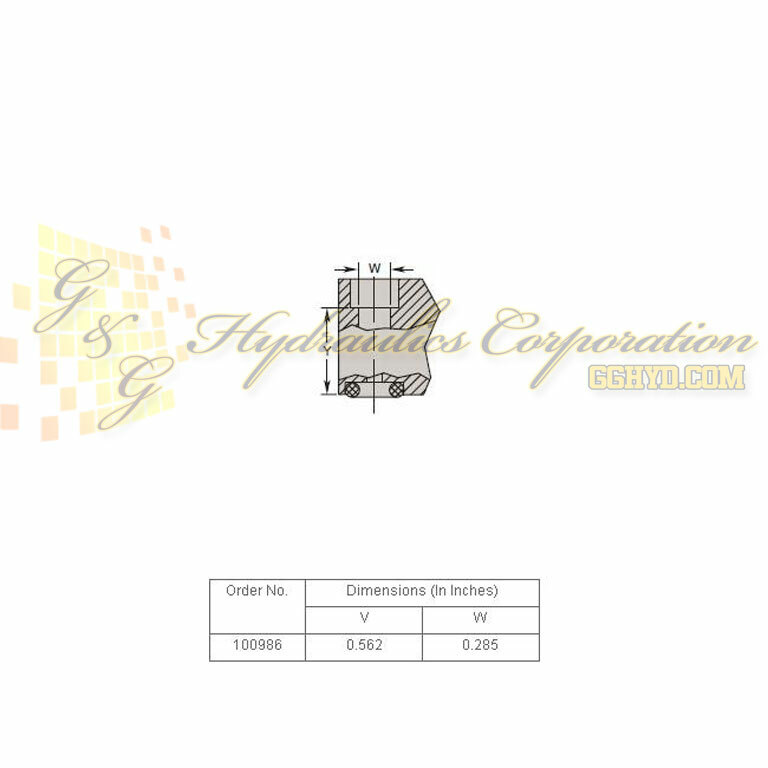 15 degree clamping angle, Single-acting, Hardened, serrated, plated gripper, Conventional and manifold mount versions. 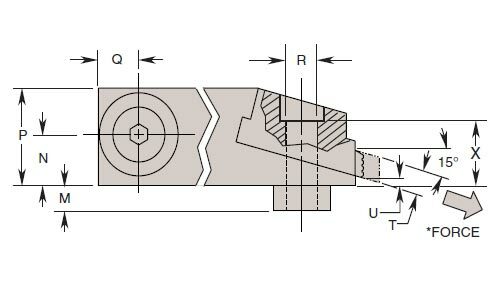 Hytec's edge clamps perform three functions: locating the workpiece, clamping horizontally against secondary locators and clamping vertically against the primary locating surface. 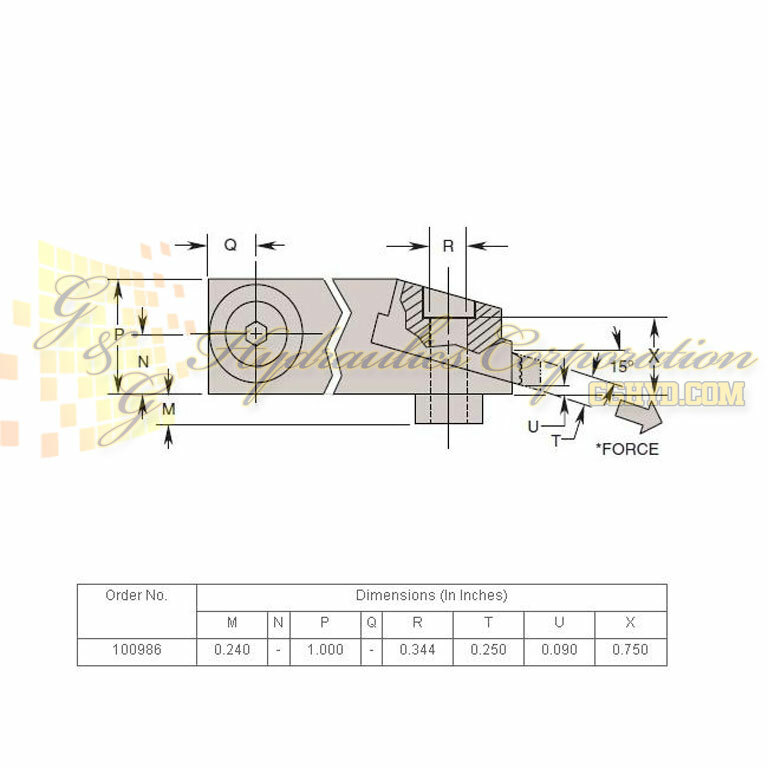 This combined horizontal and vertical clamping force can locate and secure many parts with no other clamps being needed. These clamps are extremely compact relative to their clamping force and are available in either conventionally or manifold mounted versions. 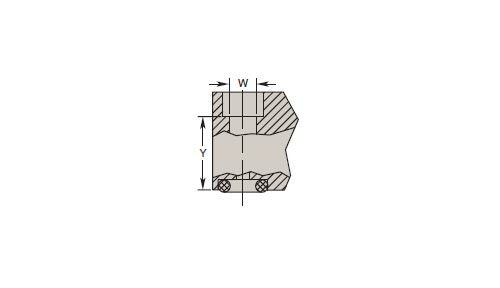 At only 1 inch tall, their low profile design allows them to remain below most workpieces for unrestricted machining access to a part’s top surface. 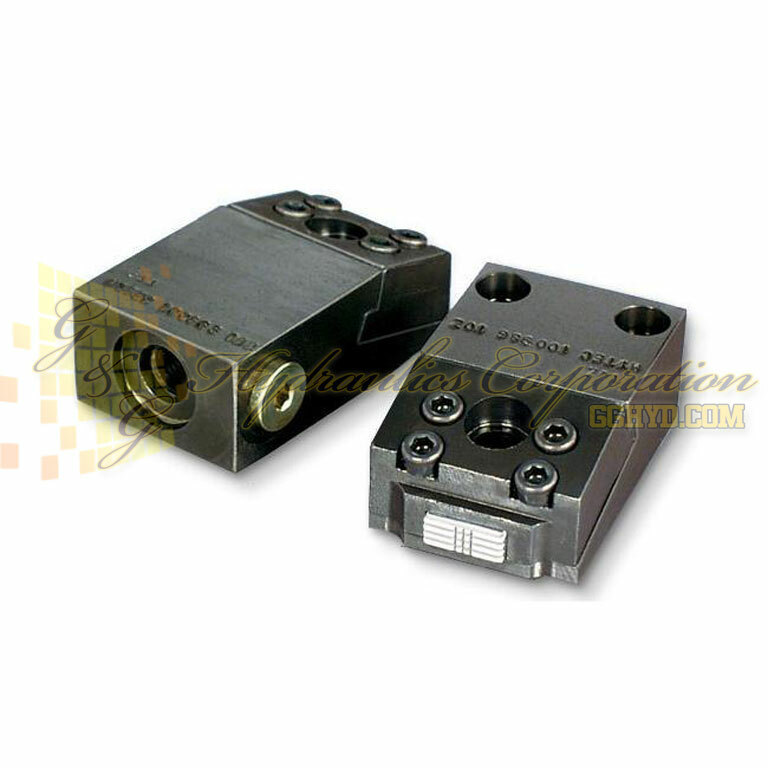 The 100986 clamp is compactly designed for manifold mounting. The 100863 clamp has three pressure ports for convenient installation and easy chaining of multiple clamps. 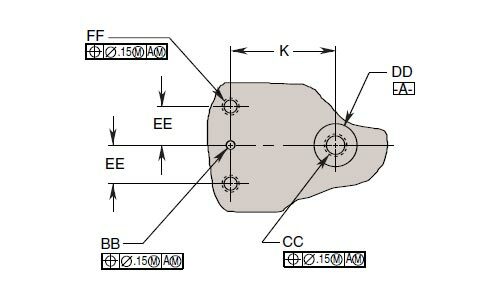 A generous 0.188" stroke compensates for workpiece variations. Includes removable mounting/ locating bushing. Note: * Based on 5,000 PSI maximum operating pressure.